Find information on addicted to cigarettes and help to break nicotine addiction. Includes the health effects of smoking and tobacco, with statistics, and support. Includes statistics on the effects of smoking among young people. This site describes the health effects of tobacco products and outlines how the author quit smoking cigarettes. Presentation by Dr Sandra Hacker that gives an overview of the health effects of smoking during pregnancy. Offers a game delivered by email or cell phone designed to wean people off cigarettes by replacing them with positive behaviors. Provides access to a smoking cessation research study conducted by UCSF and UCSD. The intention is to obtain information about the needs of smokers on the Web who wish to quit. SmithKline Beecham's stop smoking news resource features quitting tips, an incentive program and related news. Media can register for entry to the Press Pass area. 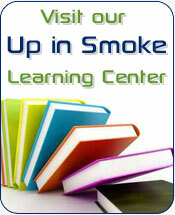 Collection of articles and brochures about smoking cessation. Find free assistance to stop smoking, including coaching, educational materials, and a quit plan.